Andrew Himes, author, internet pioneer, and imagineer is now the Director of Network Orchestration for The Carbon Trifecta, a new non-profit initiative that uses CO2 as the path to a global sustainable economy. You heard that right, it uses CO2 (carbon dioxide), which is currently the primary human cause for global warming and ocean acidification, by sequestering it in the form of graphene which can be used to create nearly every product known to man...only better. Capture gigatons of CO2 before (and after) it enters the atmosphere. Turn carbon-based businesses into allies, processing the CO2 into valuable graphene. Accelerate market demand for graphene via 3D printing. The Carbon Trifecta is working to partner with researchers, CO2 emitters like coal fire generating plants, and pioneering 3D printers to help everyone involved focus on the CO2 opportunity and gain an understanding of the possibility of this path to global sustainability. By enabling the remarkable capabilities of computer software and 3D printing to deliver profoundly efficient, beautiful and locallymade materials and products - and by introducing graphene into 3D printing as a path for converting this technology into a manufacturing platform capable of delivering complex materials despite a limited number of jets. Having been discovered merely a decade ago, graphene is relatively new in our consciousness. It is nothing short of a miracle material being both the strongest and most thermally conductive material known to man. But it doesn't end there. It is also extremely flexible, thin, lightweight and transparent. It can be used to build nearly every physical thing we produce from clothes to buildings to computers, and can also filter salt water into fresh drinking water. If the Carbon Trifecta initiative works, life on planet earth will change drastically. We will essentially be able to build everything we need, locally, with zero negative effect on the environment by using additive manufacturing. In other words it will be the end of the era of extraction of all of our precious and limited natural resources and the end of human-caused CO2 emissions causing global warming. In this conversation, Andrew not only talks about this innovative and valiant endeavor to save the planet, but he also offers his heart of compassion. In fact, Andrew recently delivered the keynote address at the Eighth Worldwide Meeting on Human Values in Monterey, Mexico, where he unveiled what he calls his Grand Unified Theory of Compassion. Andrew's Grand Unified Theory of Compassion says that awareness multiplied by compassionate action times the power of networks yields the result of a flourishing world. Awareness—Our expanding identification with every living thing on the planet. Compassion—Practical action to alleviate the suffering of others. Networks—The power of networks to replicate compassionate behavior. Flourishing—A flourishing world is a just, peaceful, and vibrant world. This theory is what drives Andrew's work and lives at the heart of the Carbon Trifecta initiative. The one ask that Andrew had from us is that we help get the word out to enable the Carbon Trifecta to become a real global story that people are conscious of, excited about, and committed to exploring on behalf of humanity and planet earth. So be sure to share this episode with your networks! 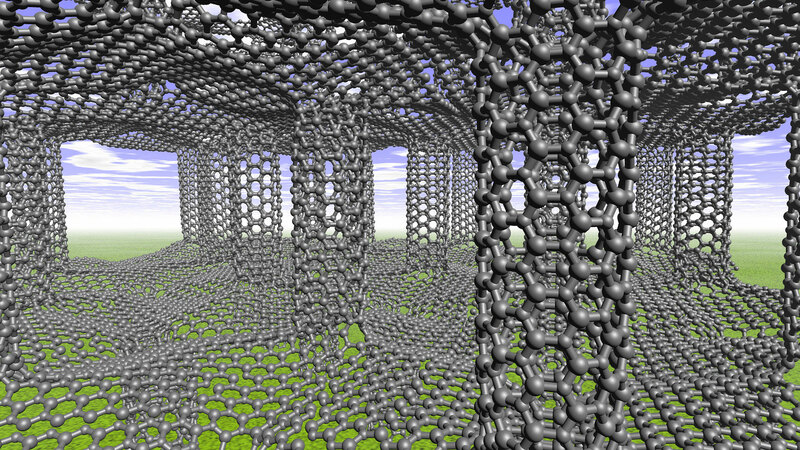 Graphene is the strongest material known to man. It is over 200 times stronger than steel. The strength of graphene could be used in composites and coatings for applications in areas such as aerospace and automotive industries. One of graphene's most dynamic properties is its remarkable thinness. At just one atom thick, graphene is one million times thinner than the diameter of a human hair. Can conduct heat and electricity fantastically well. Graphene has the highest thermal conductivity known to man. It can also be used for CPU cooling, meaning graphene electronic devices will be overall more energy efficient.